As you all know osteoporosis is a topic that is very near and dear to our hearts. Since we successfully reversed Mira’s osteoporosis 10 years ago, we have been working extremely hard to share our knowledge about this devastating health condition and its link to micronutrient deficiency with people around the world. October 12 through the 20th is Bone and Joint Health National Awareness Week, culminating with World Osteoporosis day on October 20th. In honor of this World holiday, and in the hopes that this information helps those suffering from osteoporosis/osteopenia we want to share with you 7 Micronutrient Miracle Tips to Help You Build Stronger Bones. Remember, even if you don’t currently have osteoporosis or osteopenia, your bones are at risk if you do not provide them with the essential micronutrients they need to stay strong. If you know someone who suffers from osteoporosis or osteopenia please share this information with him or her – you can be part of the solution. Sugar is one of the biggest roadblocks on your path to micronutrient sufficiency because it can deplete your body’s micronutrients as well as block the micronutrients you do ingest from being absorbed. While sugar’s sweet flavor may be appetizing, its depletion of the bone builders calcium and magnesium (as well as chromium and copper) is not. When your body ingests sugar, your calcium and magnesium levels can become diminished. And guess what scientists discovered happens when those levels fall short? You crave sugar! That is why one bite leads to another and then another. And with every bite, your levels of calcium and magnesium are further reduced, increasing your desire for more sugar. Your internal “cravings monster” calls out louder and louder, and there are only two ways to quiet him. First, you can continue on the path to deficiency and obesity by eating more and more sugar (with every bite making it more likely you will get osteoporosis and other deficiency diseases). Or you can send the cravings monster packing by becoming sufficient in calcium and magnesium and kicking those sugar cravings to the curb for good. Wheat contains lectins, which are a plant’s natural self-defense mechanism. While lectins are good for plants, they are not good for humans to eat. Their stickiness causes them to bind to your intestinal tract, and because we require a clear intestinal tract to properly absorb vitamins and minerals, lectins have been shown to reduce micronutrient absorption and should be avoided. Additionally, wheat also contains something called phytic acid. Phytic acid works similarly to fiber, in that it binds to substances in our intestinal tracts. However, unlike fiber, which lowers cholesterol by binding to cholesterol-like compounds in the digestive tract, phytic acid reduces micronutrient absorption by binding to vitamin B3 (niacin), calcium, chromium, copper, iron, magnesium, manganese, and zinc. Additionally, phytic acid accelerates the metabolism of vitamin D. Rickets, caused by a vitamin D deficiency, as well as osteoporosis are common in populations with high phytic acid intake. 3. Don’t play the Cardio Queen. Remember, the more time you spend sweating in the gym, the more micro- nutrients your body uses and needs to recover. Most of the clients who come to us with bone issues like osteoporosis or osteopenia tell us that they spend a lot of time doing long cardiovascular workouts at the gym. All this time, they had no idea they were actually starving their bones of the very micronutrients that they needed to be healthy. You will improve your cardiovascular (aerobic) capacity. A 2011 study presented at the American College of Sports Medicine’s Annual Meeting found that just 2 weeks of high-intensity interval training, like ZMT, improved participants’ aerobic capacity as much as 6 to 8 weeks of endurance training. Aerobic capacity refers to the functional capacity of your heart, lungs, and blood vessels. More simply put, the higher the aerobic capacity, the greater the level of aerobic fitness, and the better shape your heart will be in. Talk about quick improvements! You will increase calorie burn and fat metabolization. ZMT makes you a fat-burning machine—even long after your brief workout is over. There is a 2-hour period following a workout that is referred to in the world of exercise science as EPOC (excess post-exercise oxygen consumption). It is the period when the body works to restore itself to preworkout levels. And this uses a lot of energy (i.e., calories). According to the American College of Sports Medicine, when individuals participate in intense interval training, such as with ZMT, the EPOC lasts longer than after normal workouts; research by the organization suggests that you can burn up to 15 percent more calories overall. So while you’re watching your favorite television show or reading your new book, you are still burning calories because you exercised smarter—not longer. You will decrease fat production. Not only will you be burning more fat with ZMT than with long, drawn-out cardio programs, but your body will also be simultaneously turning off its fat-producing mechanism. Researchers from the Norwegian University of Science and Technology reported that subjects with an increased risk of cardiovascular disease and diabetes who followed a 16-week intense interval program, like ZMT, had a 100 percent greater decrease in fatty acid synthase (a fat-producing enzyme), proving you can blunt your fat production while burning more fat. You will increase production of human growth hormone. Human growth hormone (HGH) is produced by the pituitary gland—a pea-size structure at the base of the brain—to fuel childhood growth and help maintain bone, muscle, and organs throughout your life. The higher your levels of HGH, the healthier and stronger you will be. However, once you hit the age of 30, you enter what’s called somatopause, at which point your levels of HGH begin to plummet. This dramatic decline drives the aging process, and it causes things like decreased muscle and bone mass. Intense interval training, like ZMT, turns back the clock by stimulating your production of HGH by up to 450 percent during the 24 hours after you finish your workout. Your joints, bones, and muscles will be spared. Marathon runs on the treadmill cause mayhem for your knees and joints. These longer bouts of cardio also cause the body to utilize muscle as fuel, and when you want to lose weight, muscle is key to your metabolism. ZMT allows your body to spare the hard-earned muscle you will gain from weight training, while ensuring that your weight loss is fat loss. 4. Timing and Type are everything. 600 milligrams of calcium) 30 minutes before your workout. Type: Yep—still on exercise. We want you to do weight lifting using our One Set to Failure (1STF) Protocol. Your bones will thank you. Often, when your bones start hurting or you hear, as Mira did, that you have osteoporosis or osteopenia, you stop lifting weights because you worry that you’re too frail. However, this is the opposite of what you should be doing. Aging brings about natural muscle and bone mass loss, and whether you’re already losing bone mass or simply want to avoid any loss in the future, lifting weights can help. Your bones react to lifting weights much like your muscles do. When you lift, the muscles adapt to the stress by becoming bigger and stronger. Your bones also perceive stress, and because of this, your body will respond by building bone. Therefore, we want you to think about your weight training as both muscle building and bone building. Both BPA and phthalates are synthetic chemicals that mimic estrogen in the body. BPA can be found in reusable drink containers, toilet paper, DVDs, cell phones, eyeglass lenses, and automobile parts. In the grocery store, you are most likely to come in contact with it in its polycarbonate plastic form in water bottles and in its epoxy form in the linings of food cans. It is even in the thermal paper used for cash register receipts. Phthalates can be found in food packaging, plastic wraps, pesticides, many children’s toys, PVC pipes, air fresheners, laundry products, personal care products, and even in medical supplies. Each year about 6 billion pounds of BPA and 18 billion pounds of phthalate esters are created worldwide—that’s a lot of problematic pound-producing plastics! Studies reveal that women with high levels of phthalates are likely to go through menopause earlier, and have estrogen disruption, which can then have an unhealthy effect on bone formation. Make sure to be keenly aware of eliminating all endocrine disruptors including phthalates, BPA, fragrances and pesticides. Multivitamins: Most supplements do not contain beneficial quantities of the bone building nutrients (calcium, magnesium, and vitamins D3 & K2). Make sure to read labels carefully. Take a well-formulated multivitamin, like our multivitamin nutreince, each and every day. Our multivitamin was designed to treat Mira’s advanced osteoporosis. It includes all three forms of vitamin K (vitamin K1, and both forms of vitamin K2 (MK-4 & MK-7)), and beneficial quantities of calcium, magnesium, and vitamin D3. Additionally, nutreince contains all eight forms of vitamin E, which is very important because new research suggests that delta-tocotrienol can completely prevent the erosion of the bone surface and was also effective in increasing bone formation and preventing bone reabsorption. Protein: Taking your Micronutrient Miracle Triple Threat Shakes twice a day is especially important for bone health. Studies have shown that supplementing elderly patients and postmenopausal women with protein causes increases in bone density, improved clinical symptoms in patients, and reduced bone loss. Additionally, each scoop of IN.POWER whey or plant protein contains beneficial quantities of L-lysine, an essential amino acid that aids in calcium absorption and improves connective tissue strength. It is also critical for optimal growth and bone formation and may be particularly helpful at preventing osteoporosis in at-risk menopausal women. Taking two Triple Threat Shakes daily will also aid in lean muscle tissue growth, which is critical for balance and bone support in those with weakened bones. Try to take one Triple Threat daily as a pudding, as the extra collagen from the gelatin (in the pudding recipe) supports bone health. Omega-3s: EPA and DHA from animal-derived omega-3s help to maintain or increase bone mass; enhance calcium absorption, retention, and bone deposits; and improve bone strength. Additionally, a deficiency in omega-3s can lead to severe bone loss and osteoporosis. We recommend looking at our Origin Omega supplement, it delivers 1520 mg of EPA and DHA per daily serving and separates the EPA and DHA into AM and PM doses to optimize absorption and utilization. 7. Take K-ontrol with K.
This vitamin is K-iller for your bones (in a good way). If it’s not already, Vitamin K needs to be in your arsenal of supplements for sure. And not just vitamin K1, you need to make sure you are getting vitamin K2 as well. (Make sure to check your supplements). Vitamin K is all too often omitted from multivitamin formulations, but it is essential for bone strength and heart health. It is important for a supplement to include both K1 and K2 and it is even more superior, and rare, if it includes both forms of vitamin K2 (MK-4 and MK-7). Vitamin K1 plays a role in blood clotting, while K2 is a more important inducer of bone mineralization in human osteoblasts (bone-building cells). Vitamin K2 has been proven in studies to be as effective as prescription drugs in reducing the incidence of bone fractures. Additionally, because K2 directs calcium out of the arteries and into the bones, where it is needed, K2 is essential for the prevention of coronary heart disease. Wow, there sure is a lot to learn about bone health. And these 7 tips are just the “tip” of the iceberg. 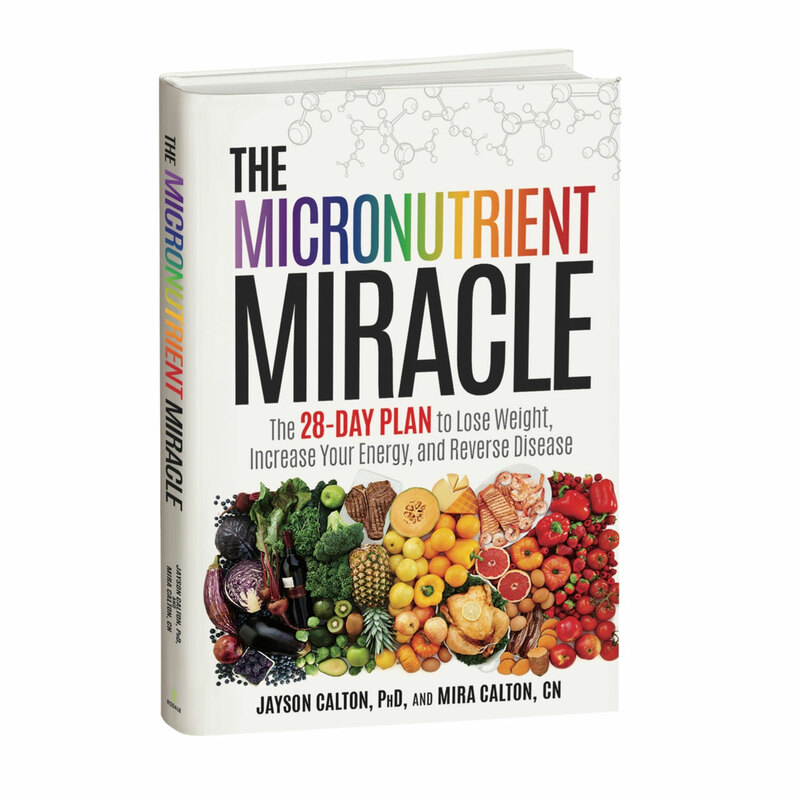 You can find out more and learn how to put together a lifestyle that will help you create strong bones for the rest of your life in our book The Micronutrient Miracle. We even have a complete bone building protocol right in the book. Let’s face it, our bones are the foundation of our body, and honestly it’s never too early to start thinking about bone health. This month take a look at your habits and see if you can’t make a few changes that will improve your bone health – take it from us, the future you will thank you.